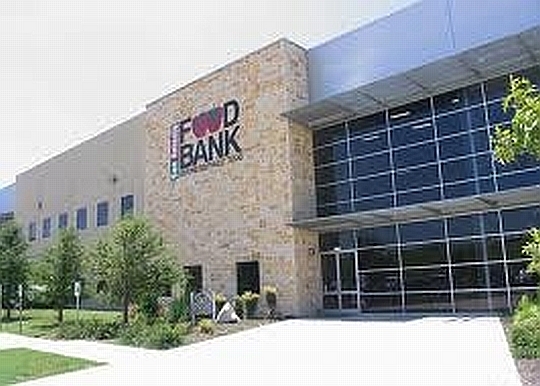 Founded in 1980, the San Antonio Food Bank (“SAFB”) is a non-profit organization that serves as a clearinghouse, receiving and storing donated food, fresh produce, and other groceries. SAFB distributes these items in manageable quantities to over 500 independent partner agencies that help people in need. However, SAFB’s activities are not limited to distributing food to street-level food kitchens; the food bank also encourages better nutrition throughout the region via additional services, and operates programs to help individuals escape the poverty that produces chronic hunger. San Antonio Food Bank’s activities meaningfully improve the lives of thousands throughout the organization’s sixteen-county service area. Every week, 58,000 people receive food as a consequence of SAFB’s programs. SAFB directly operates three community kitchens in the area, including the facility located at San Antonio’s Haven For Hope homelessness social service campus. The food bank sponsors initiatives targeting seniors and children, and, using repurposed beer trucks, delivers perishable fresh foods to partner agencies that lack refrigeration facilities onsite. The region served by SAFB struggles with an average 20.5% poverty rate, with correspondingly high rates of food insecurity. San Antonio’s Bexar County is burdened by a 25.1% poverty rate, and 32.5% of residents within the highly-distressed low income census tract housing SAFB’s facility live in poverty. The poverty rate is known to closely approximate rates of food insecurity; individuals below the poverty line face painful trade-offs every day, with half reporting that they often have to choose between paying rent and buying food. The now-financed SAFB expansion project will double the size of the facility, to 204,000 square feet, and will bring a significant benefit to the region. The project will create 105 direct FTE jobs and 50 construction jobs, with most permanent jobs in facility operations (warehousing, truck drivers). A direct economic impact of $50 million for the Bexar County economy is anticipated. Freezer space will triple in size, permitting SAFB to accept an additional 7 million lbs/year of high-quality, protein-rich foods. 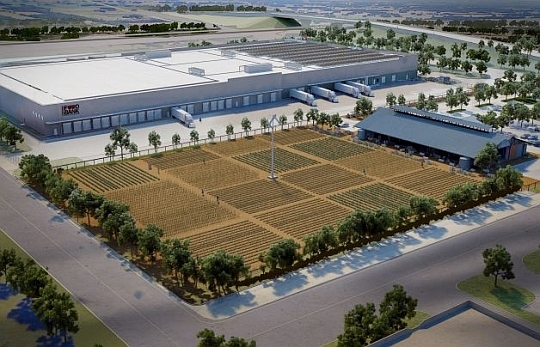 Annual fresh produce capacity will also triple, to 81 million lbs/year, and the expansion will accommodate an additional 41,600 hours of volunteer labor a year. 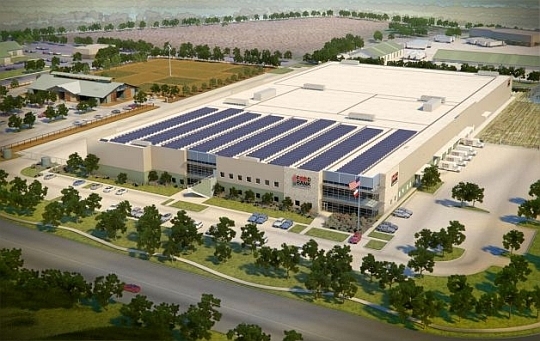 Notably, SAFB’s new facility will permit the food bank to accept donations from an additional 20 grocery stores operated by local chain HEB, meaning that all 44 regional HEB stores would participate in donating short-shelf items to SAFB. Currently, forty-five percent of all donations are perishable, and this proportion will grow as best practices demand that those suffering from food insecurity receive nutritionally beneficial assistance. Encouraging a healthy San Antonio is, along with feeding the hungry and ameliorating poverty, a key element of SAFB’s mission. Increasing the amount of space available to store perishables meaningfully aids this ongoing initiative, especially since the food bank’s service area suffers from above-average rates of obesity and diabetes. Within Bexar County itself, 65.8% of adults are overweight or obese, and 15.6% of residents are diabetic, twice the national average. Promoting the consumption of fresh foods, including plentiful servings of fruits and vegetables, also reinforces federal government policies designed to encourage fresh food consumption and eliminate food deserts. In recent years, non-profits such as SAFB have experienced increasing difficulty in fundraising, due to the nation’s weak economic recovery from the Great Recession. 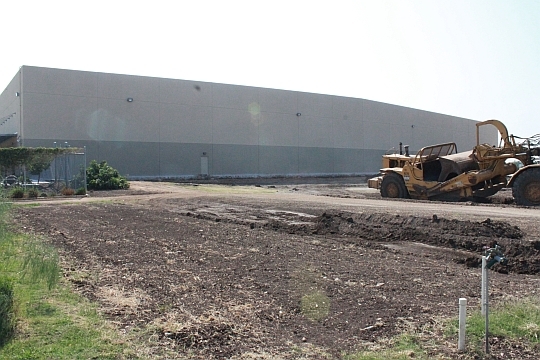 The $27 million NMTC financing structured by Crescent Growth Capital for the San Antonio Food Bank will generate upwards of $4 million in bottom-line subsidy for the facility expansion. Significantly, this benefit lets SAFB continue to direct all monetary contributions it receives toward supporting ongoing operations and programming. For instance, funding for SAFB’s continuing efforts at nutrition education will not diminish. Ongoing programming, such as the Summer Food Service Program for children and the Healthy Options Program for the Elderly (“HOPE”), will receive more resources. 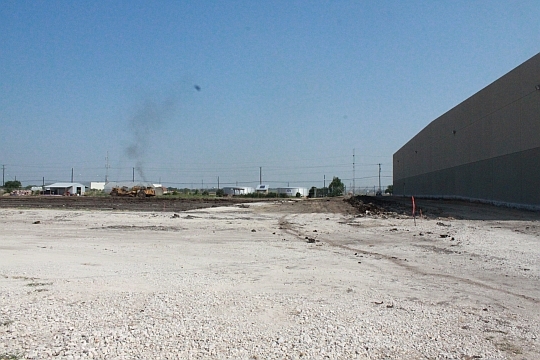 Absent the NMTC financing, the timetable to complete the expansion would have been highly uncertain, held hostage by the limited amount of philanthropic dollars available within SAFB’s sixteen-county service region, and the food bank’s programming would doubtless have suffered greatly as resources would have been diverted from operations to help finance the facility expansion.